Aqua Box on the doorstep!! Sqwweeee!!! Alrighty, here’s a little overview. 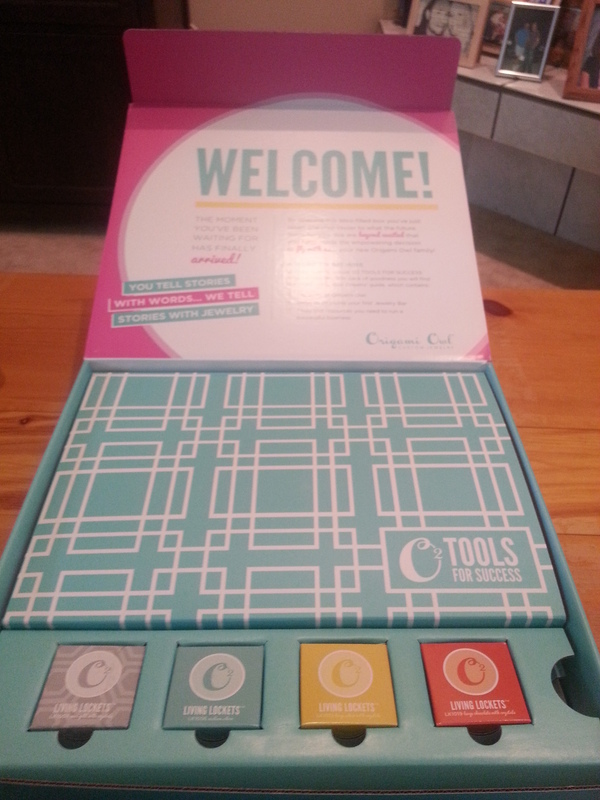 My Starter Kit came today, for my venture with Origami Owl!!!!!!!! I ordered mine on a Tuesday, and received it 2 days later…on Thursday. (depending on what time your FED EX guy comes too) ~ The price of shipping “worth it”. I’m pretty sure my daughters were more excited than I was. No, that’s not true, I was Christmas in a Coach Store excited!!! 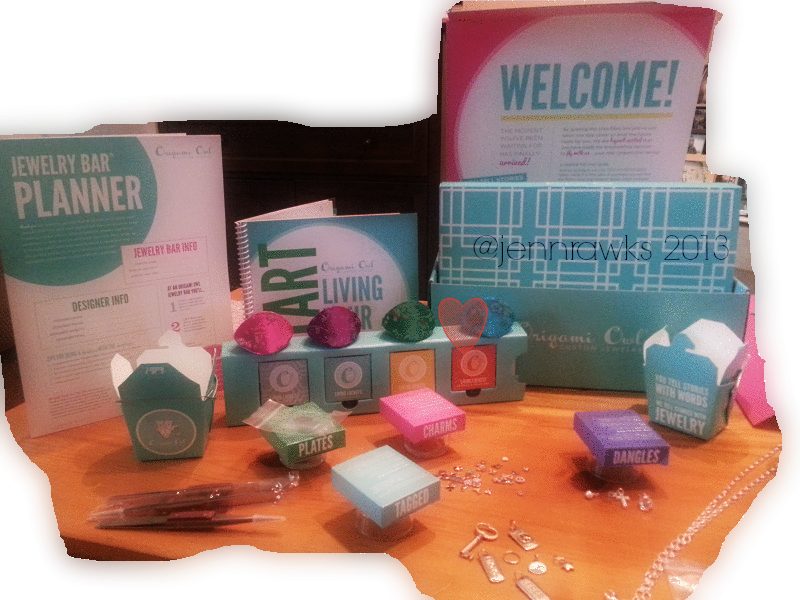 So, everyone (in my upline, and fellow team members) keeps saying “the new kit”….what they are really referring to is the fact that it comes in a pretty box LOL. Otherwise, the kit details are as listed above at my link.and here’s a little picture of the kit completely untouched…. Next up… was another cute little box 🙂 It really was just cute. The colors of this company are simply put…cute! andddd you know I’m saving all the boxes. There has to be SOMETHING I can do with these boxes! What?! They are nice! The locket boxes were the first “items” to catch my eye. I personally received a mini gold w.crystal, a medium silver, a large silver w.crystals and a large chocolate w.crystals. (they decide what you get, you can’t pick it) and I was surprised to see a Chocolate locket in my kit. I had heard they weren’t shipping those with kits but I’m so glad they did. The chocolate is BEAUTIFUL in person. So, so, so, pretty! My kids couldn’t wait to get to the charms! Lots of Oooooo’s and ahhhhh’s. Dangles. Tagged. Plates. all too fascinating to be ALL MINE hahaha. well, for my display at Jewelry Bars! Lots of great business materials, invitations, and I love the Jewelry Bar Planner Folders, so the hostess can feel special too! I must say opening the kit was far more exciting than I thought it would be! 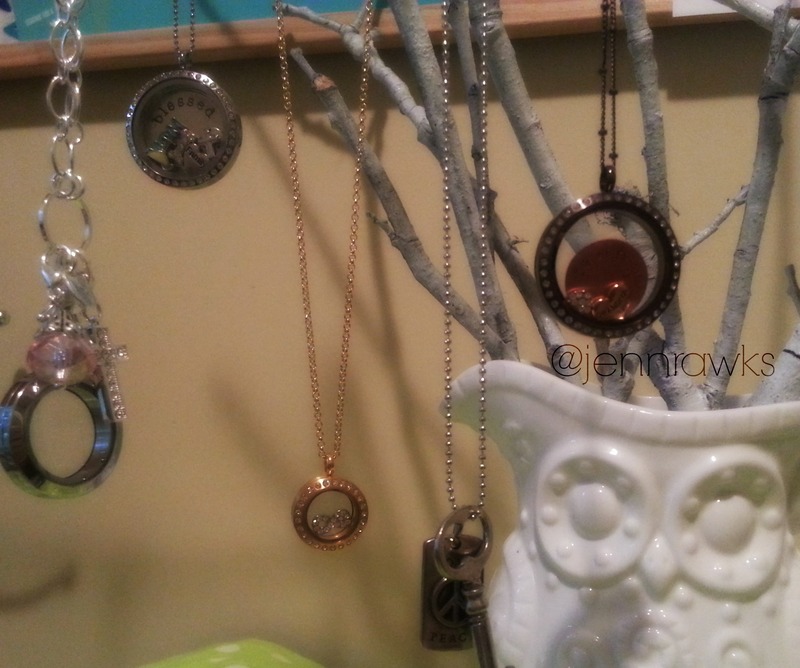 I quickly moved it all into my Origami Owl Office and GOT TO WORK! and I put my new Owl Branch Tree (that I made, click to see) to work! My necklaces and lockets look amazing on this display! I tried to use the necklace stand I bought at ROSS and it didn’t even compare! Fun Day! 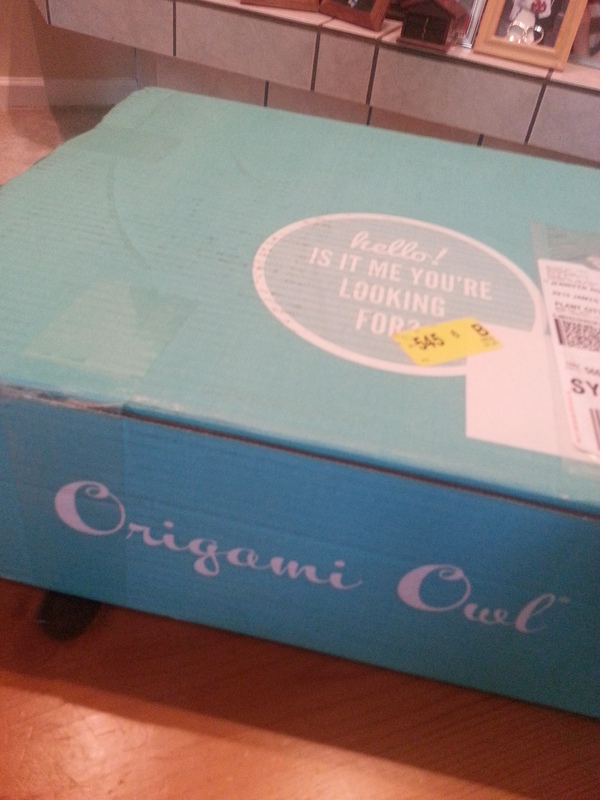 My Origami Owl office is officially “owlified!! 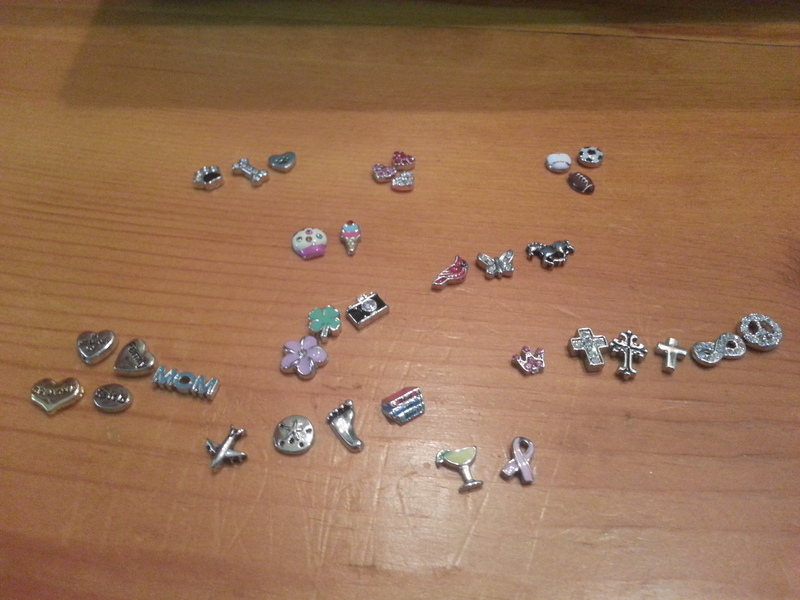 and I’m ready to book jewelry bars! At this time, when you actually get your “official” sign up email, you can only order this particular kit (July 2013). Current, NEW, or thinking about O2 DIW’s if you are wanting more info on the current kit, and what you expect on sign-up day, email me jennrawks84@yahoo.com or simply leave me a message and I’ll send you all I can tell you. The ONE thing I can say, is that if you are considering selling Origami Owl Living Lockets you really need to get ON THE WAITLIST right now! I can tell you all about my 3 month wait, what I did to prepare myself for “getting my wings” (the day you sign up and become an official designer), how I dealt with the Origami Owl Waitlist, what I bought over the course of the wait, how I set up my office and all about being READY to sign up in a matter of hours! If you need a mentor, I’m happy to have you on my team. When you “join”…my designer number is #30921 (your designer number will be VERY important to you). I’m on Facebook, twitter, and a lot of other sites so reach out! No question isn’t worth asking! Happy Waiting, Happy Selling, and thanks for reading!! 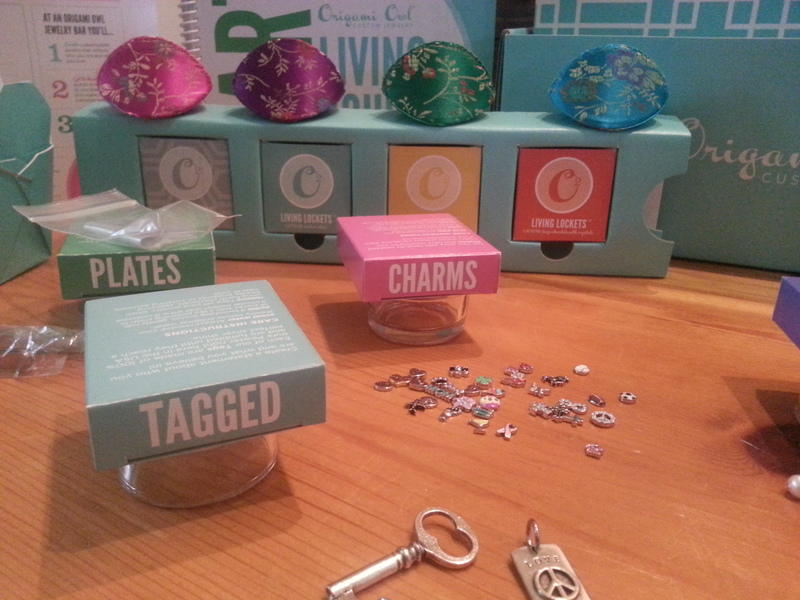 Thanks for being a part of my Origami Owl Journey! If you are interested in more information on anything please fill out the form below!!! !